The price you see is the price you pay; once booked we will never increase the cost of your wedding package, no matter how far in advance you may book. The prices below are valid for all weddings booked from now. 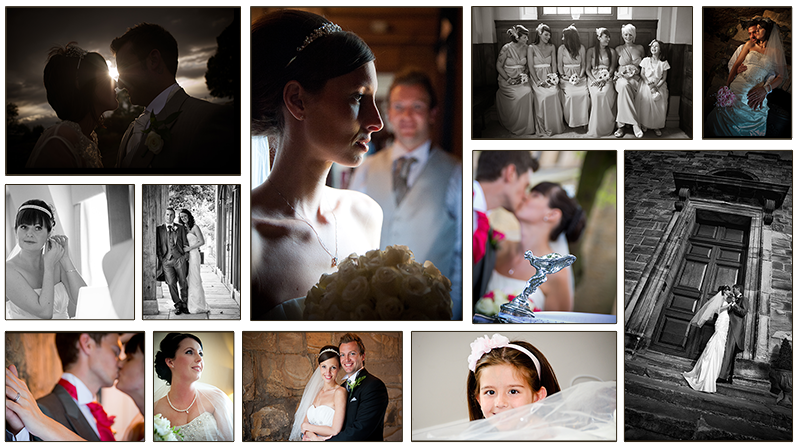 A download from the cloud link is provided containing all of the wedding gallery images that may be printed. A disc/USB is also available. A licence to print is provided to show to your print supplier, this makes it legal to print your pictures. Images will be retouched where needed. We can remove exit signs, fire extinguishers and other objects. All bookings are confirmed following the return and approval of our booking form together with the booking fee of £200. The balance is to be paid by no later than 2 weeks before the wedding. The booking fee is included in our packge price, so the balance for Package 1 Disc Only is £400. You will select the times that we attend. For example, when you book 10 hour package, if we start at 10 am we will finish at 8pm. If we start at noon we will finish at 10pm. "Disc only" packages do not have any printed albums, prints or books supplied. We can quote for an album after the wedding, we can do this for weddings that we did not photograph too. We are an approved supplier by all of the major album manufacturers, including Album Epoca, GraphiStudio and Queensberry. To print your images, we recommend printing your images at http://www.digitalab.co.uk. This is a professional first class local lab providing perfect printing. All images on the disc are edited by experienced picture editors. Wedding discs are normally delivered within 2-3 weeks of the wedding or after the couple arrive back from honeymoon if this is later.